Whether it is new developments at Nissen, technical or legal innovations or the industry grapevine – find out first from us what is possible. As a globally leading player in the field of mobile traffic security, we’ll once again make our presence felt at the Traffex in Birmingham. Use the opportunity and visit us from 02 to 04 April 2019 in hall 5 at stand J020. We look forward to sharing information with you about the market, the state of the art, and the challenges of the future. 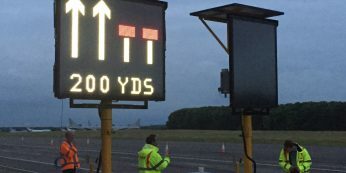 Highways England (HE) and the Department for Transport (DfT) held several trials on a test track to determine the optimal size, font and the font size of the signs. The trials were conducted in February and in June. Both trials took place during the day as well as at night. 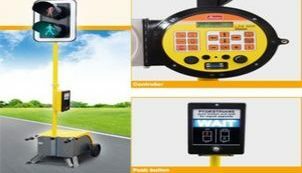 Following these trials, Nissen signs received a new full authorisation from the Department of Transport for two of its systems to suit the requirements of Remotely Operated Temporary Traffic Management Signs (ROTTM) on HE network. For detailed product information please contact us.